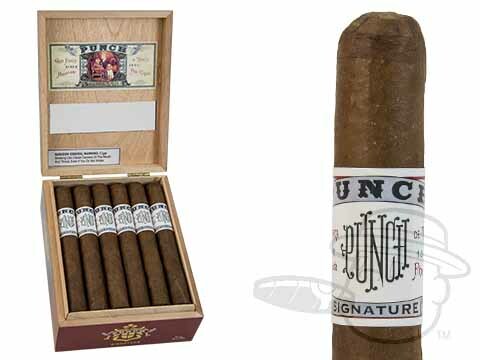 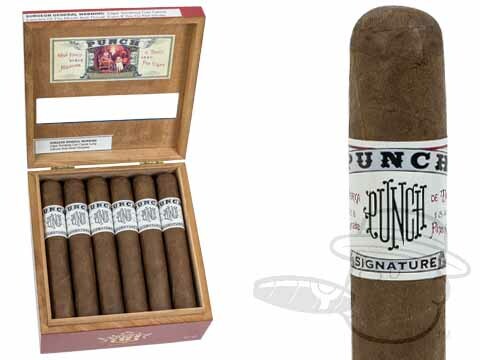 With a "throwback" look and band design featuring the cantankerous Mr. Punch himself, Punch Signature cigars are a classic Punch cigar for today's educated aficionado. 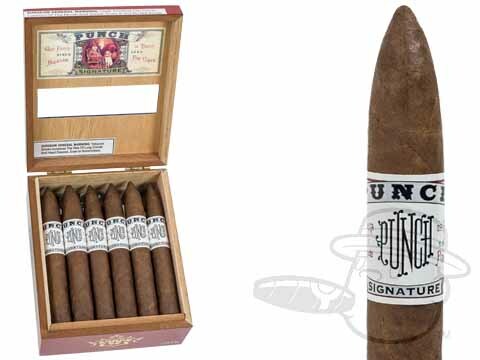 Inspired by the original Punch cigar made famous in the 1800's, the Signature mixes tradition with modern taste via a specially-harvested Ecuadorian Corojo wrapper leaf around choice Nicaraguan and Dominican interior tobaccos. 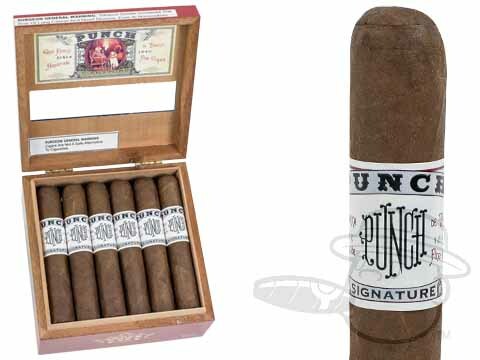 Strong, savory, and unapologetically tasty, Punch Signature is destined to become a mainstay in the humidors of those who like em' bold.